Home / Bible Questions / Heaven / What is heaven like & where is heaven? 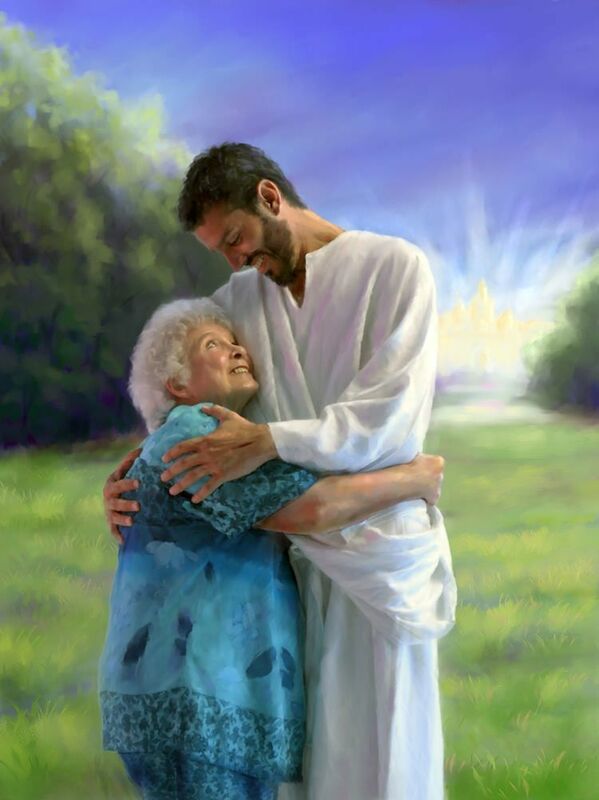 Heaven is a real place where the people of God will live one day. In fact, heaven is where God and the angels live. John 14:1-3 even says that Jesus is in heaven preparing a place for us to live. In heaven, those saved by God will have new bodies without the curse of sin! There will be no one who is blind, deaf or lame in heaven (Isaiah 35:5, 6 and Philippians 3:21). Although Jesus builds houses in heaven, the Bible also says that those saved will also build their own houses and inhabit them as well as plant and eat from vineyards (Isaiah 65:21). Most importantly, God will be in heaven and He wants to be your friend. He wants to dwell with you and wipe away all your tears (Revelation 21:1-4). Will we have new bodies in heaven? Is heaven real? Is there a heaven? There are many popular myths about heaven and where it is that create misunderstanding. According to the Bible, the universe is not only infinite, but also filled with intelligent, friendly, benevolent beings. The most amazing and almost unbelievable fact is that the way to heaven is not complicated. Our title to heaven is given freely to those who accept that God bore our wrongs against Himself when Jesus died on the cross. When we ask Him for forgiveness and a new heart to keep His commandments, He will freely give us both. 1) The word "heaven" (Hebrew: shamyim, Greek: ouranos) can mean God’s dwelling place. The Bible says: "The LORD has established His throne in heaven, and His kingdom rules over all" (Psalm 103:19). God’s throne is also mentioned in connection with the mountain of God (Ezekiel 28:16). 2) Heaven may also refer to the endless planets, stars, and galaxies of the universe. The Bible says: "When I consider Your heavens, the work of Your fingers, the moon and the stars, which You have ordained" (Psalm 8:3). 3) The Bible also speaks of the atmosphere that surrounds the earth as heaven or heavens (Genesis 1: 7, 8). Please note: one must study the biblical context to understand which of the three meanings is implied. After Jesus was raised from the dead, He went to heaven. The Bible says: "Men of Galilee, why do you stand gazing up into heaven? This same Jesus, who was taken up from you into heaven, will so come in like manner as you saw Him go into heaven" (Acts 1:11). Prior to this Jesus told His disciples: "In My Father’s house are many mansions; if it were not so, I would have told you. I go to prepare a place for you. And if I go and prepare a place for you, I will come again and receive you to Myself; that where I am, there you may be also" (John 14:2-3). "Now I saw a new heaven and a new earth, for the first heaven and the first earth had passed away. Also there was no more sea. 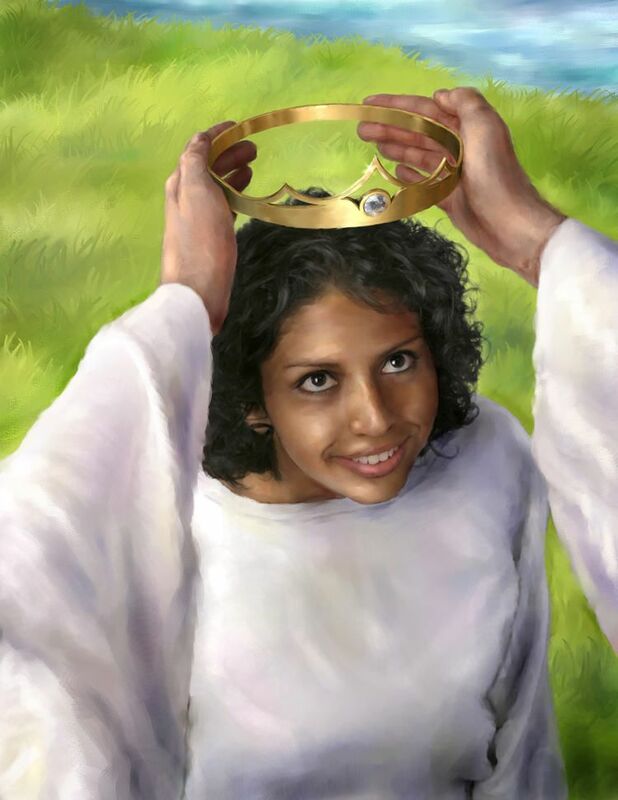 Then I, John, saw the holy city, New Jerusalem, coming down out of heaven from God, prepared as a bride adorned for her husband" (Revelation 21:1, 2). "'The wolf and the lamb shall feed together, the lion shall eat straw like the ox, and dust [shall be] the serpent’s food. They shall not hurt nor destroy in all My holy mountain,' says the LORD" (Isaiah 65:25). "They shall build houses and inhabit them; they shall plant vineyards and eat their fruit" (Isaiah 65:21). "The wilderness and the wasteland shall be glad for them, and the desert shall rejoice and blossom as the rose" (Isaiah 35:1). Popular myths picture heaven as a fanciful place where spirits sit on clouds playing harps or float around in nebulous space. 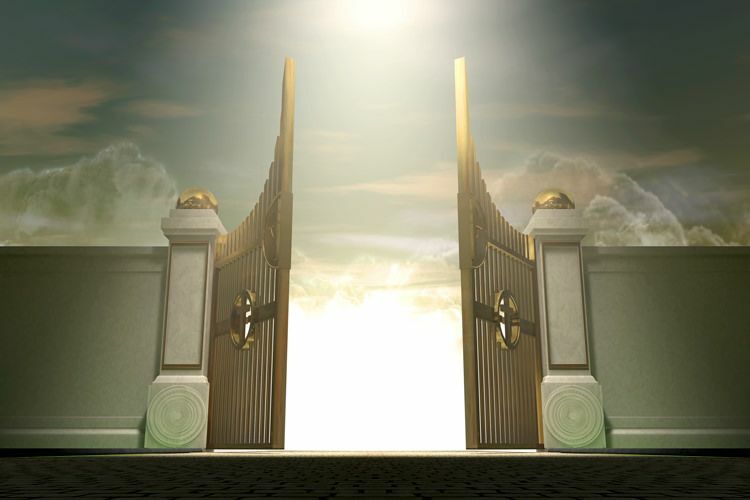 However, in John 14:2-3 the Bible says that Jesus is building mansions in heaven for those who accept salvation. He is preparing real buildings with real tangible materials for real people who will inhabit them. Additionally, when Jesus went to heaven he told his disciples: "But I say to you, I will not drink of this fruit of the vine from now on until that day when I drink it new with you in My Father’s kingdom" (Matthew 26:29). This means that in heaven real vineyards will produce real grapes. The Bible even refers to heaven as a country (Hebrews 11:16). Before sin came into this world, the world was a physical paradise — a beautiful garden full of fruits, trees, and animals. Similarly, when sin is finally eradicated from this universe, we will get to live life as God originally intended for mankind when He first created the Garden of Eden — not as spirits on clouds, but in a tangible, material Heaven. With the increasing understanding of solar systems, planets, stars, and galaxies it is inconceivable to believe that human beings are the only intelligent life in the universe. It makes sense to realize that there is a country out in the universe, perhaps even the universe itself, known by the Bible writers as heaven. The Bible speaks about hosts or inhabitants of both heaven and earth. "Thus the heavens and the earth, and all the host of them, were finished" (Genesis 2:1). The Bible mentions that beings on other planets rejoiced at the creation of the earth. "When the morning stars sang together, and all the sons of God shouted for joy" (Job 38:7). The biblical prophet Micaiah said: "I saw the LORD sitting on His throne, and all the host of heaven standing on His right hand and His left" (2 Chronicles 18:18). The Bible says: "He who does not love does not know God, for God is love" (1 John 4:8). Those who love God keep His commandments (John 14:15). The inhabitants of heaven obey God’s commandments of love (Psalm 103:19-21). Our bodies will be free from disease, pain and death in heaven (1 Corinthians 15:40-49). We will still have physical bodies. The Bible says: For our citizenship is in heaven, from which we also eagerly wait for the Savior, the Lord Jesus Christ, who will transform our lowly body that it may be conformed to His glorious body (Philippians 3:20, 21). The body of Jesus after His resurrection was physical. Jesus said: "Behold My hands and My feet, that it is I Myself. Handle Me and see, for a spirit does not have flesh and bones as you see I have" (Luke 24:39). We will be able to recognize our loved ones. The Bible says: "For now we see in a mirror, dimly, but then face to face. Now I know in part, but then I shall know just as I also am known" (1 Corinthians 13:12). The entrance to heaven is not automatic for people who have simply tried to be good. The Bible says: "But there shall by no means enter it anything that defiles, or causes an abomination or a lie, but only those who are written in the Lamb’s Book of Life" (Revelation 21:27). The qualifying factor for those who enter will be whether or not their names are written in the Lamb’s book of life. To learn how to have your name written in the Book of Life see our topic on Salvation. The realities of heaven and the new earth can be only a prayer away.